The science of ballistics is perhaps one of the most important in contemporary law enforcement. It may be the deciding element in the apprehension, trying and conviction of those who commit gun-related crimes. Identifying shell casings is a crucial step in many fire-arm related scenarios. When a gun is fired, a distinct marking is left on the shell casing and the bullet. This marking is singular to each different weapon. Comparing those markings on recovered casings with pre-existing databases makes accurate comparisons possible. In the 1990s, the Bureau of Alcohol, Tobacco and Firearms took the first steps toward establishing an image-centered database for law enforcement. It allowed for those weapons and shell casings retrieved at crime scenes to be matched up against those weapons previously introduced into the database. As of 2005, proposed laws (particularly in California) will require that when firearm manufacturers produce new weapons, they are obligated by law to test-fire those weapons. After they do so, they submit the proper information on case markings to the authorities. Those personnel then input the required images and descriptions for localized law enforcement departments and agencies to consult in the course of investigation. St., Geoffrey. "Shell Casing Identification." 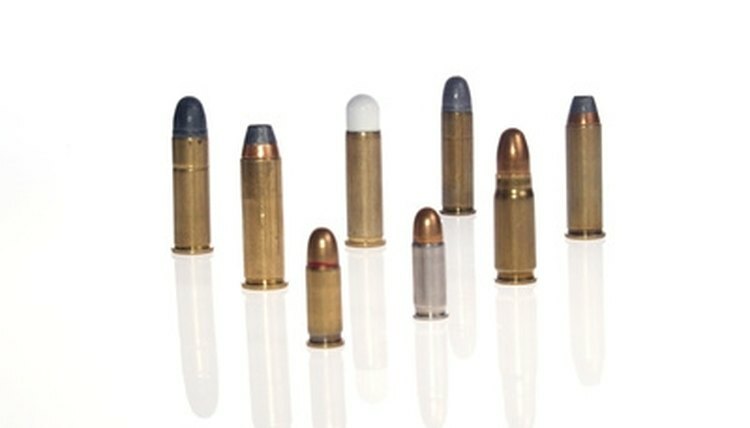 , https://legalbeagle.com/7185848-shell-casing-identification.html. Accessed 20 April 2019.